We have moved to our new blog home! Click HERE to visit us there. 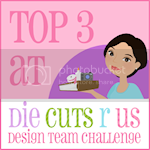 Thank you so much for your wonderful support at the Die Cuts R Us design team blog! Die Cuts R Us is now so much more than just "die cuts". We have crafty friends that work with so many beautiful techniques and supplies, that we just have to get "with the program". As soon as the title "a crafty little place" came to me, it was perfect. That is exactly what my store is: a crafty little place. I work very hard to provide the best products possible, with the best possible price, and most importantly with the best customer service possible. I am so grateful for each and every one of you. 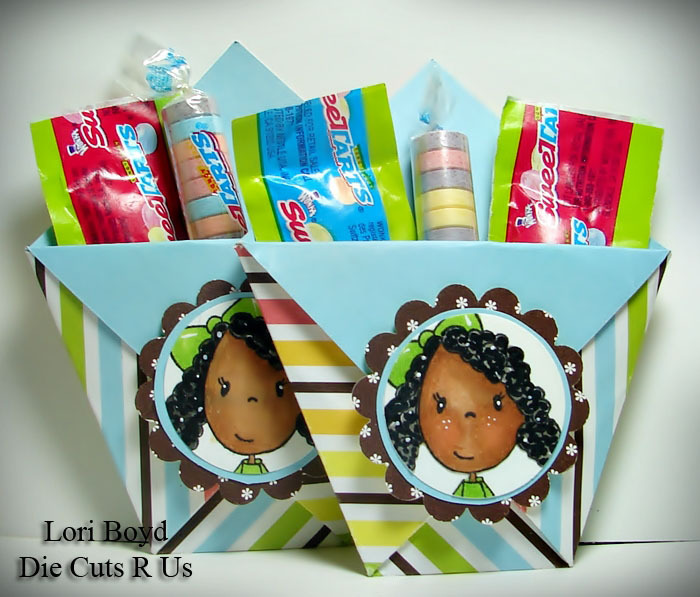 Our blog name is the only thing that has changed names; Die Cuts R Us, the store, remains the same. 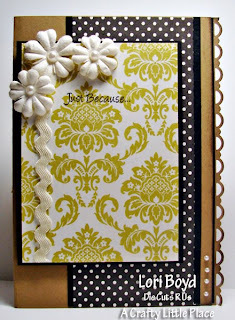 So come on over, and visit us at our new blog home; the crafty doors are open! Have a happy crafty day! Can you believe this is the last Winner's Post that will be here? Don't fret though, our new home will be filled with fun challenges each week and a fabulous new group of winner's for each challenge. Ladies don't forget to grab your buttons and display them on your blogs...you've earned them! Please stop by each of their blogs and leave them a great big CONGRATULATIONS for placing in the challenge. Each of these ladies did a fantastic job. We are so glad to have had you join in the last challenge here at the DCRU DT Blog. 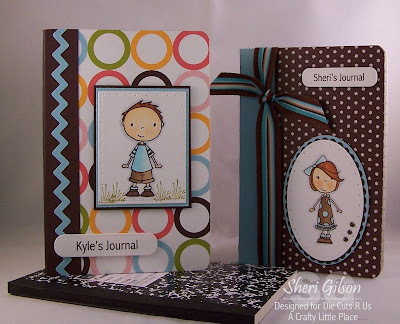 Please join us Tuesday for A Crafty Little Place Challenge. We have a special fun sponsor for the coming challenge so stop on over and check it out Tuesday, May 4th!!! Don't forget to come back Monday and check out the winners of our Double Duty Challenge. We've had some fantastic entries again this week. Pop on over by clicking HERE and check them all out through the Mr. Linky link. 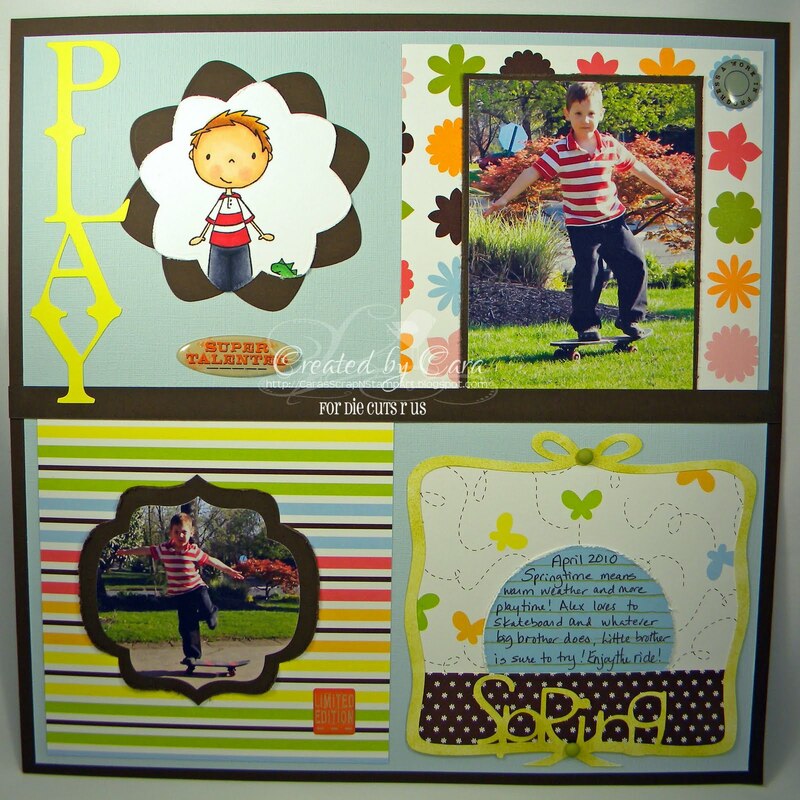 If you haven't had a chance to see the BRAND NEW PUDDLEJUMPERS and the other Amazing stamp sets from Claudia & Company, pleae take a moment to stop by DCRU and check them out. These are seriously adorable and they now have sentiments too! Two of those sets were designed by our very own CLAUDIA!!! She has put together the nicest sentiments not only in English but also Spanish for our Latino friends. I'm super excited about this for her and I hope you'll give her a little love here on the blog! Have a happy and blessed weekend! 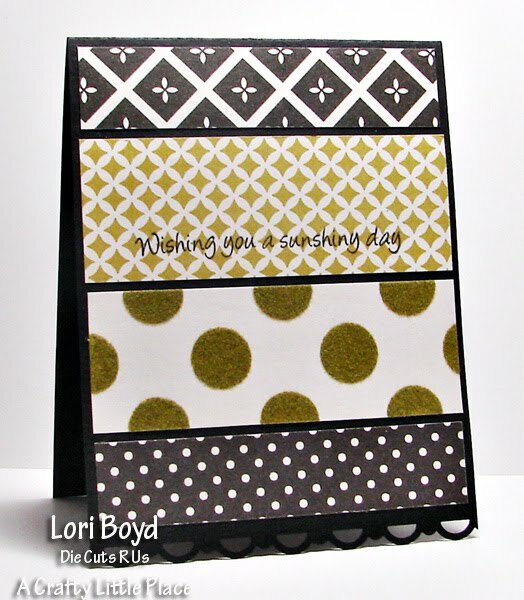 Hello all you Mini Card Kit fans!! If you aren't sure what a Mini Card Kit is... I'm gonna tell Ya!! This year, Claudia had the idea of offering her customers Card Kits. 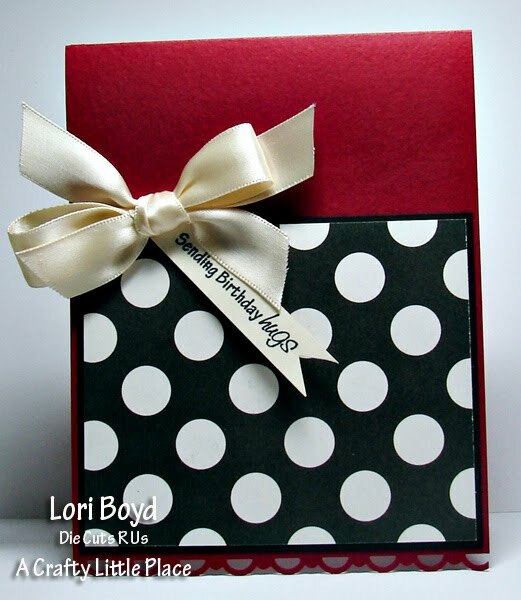 create a wonderful array of greeting cards. Now whether you are a beginner card maker or a seasoned designer...these card kits are perfect!! 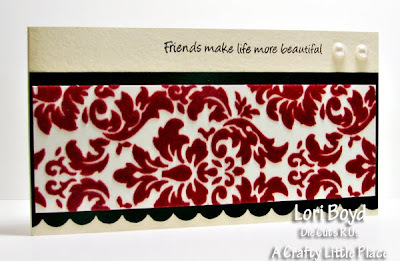 offer a great addition to your already established card making supply. are just the right amount of paper, card stock, embellishments and ribbon. or need to order more of. NO Doubt that Claudia carries only Top Quality, Name Brand. 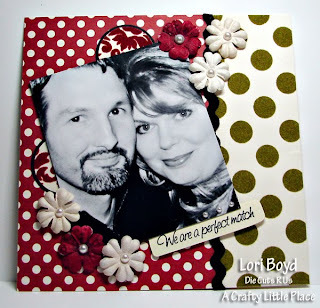 She is very selective and brings us only the best in the paper crafting world! haven't seen everything the kit offers. have plenty of time to get a kit before they are all gone!! My Mind's Eye LUSH Paper Collection!! All of this for only $9.99...WOWZERS!! 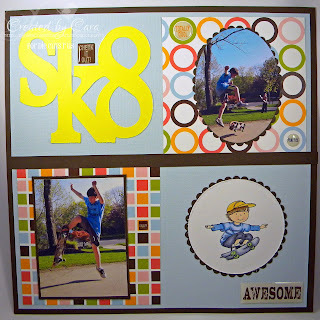 already shown you 7 cards and a 6X6 scrap page...12 cards and 1 Scrap Page in all!! Yep all that from one little mini card kit...I promise!! Card Size: 4 1/4" X 6"
Card Size: 3" X 5 1/2"
Card Size: 4" 5 1/2"
Card Size: 3 1/4" X 4 1/4"
own Claudia Harvey is now added stamp designer to her resume!!! Well, you have her and her 12 year old son, Christian to thank for that cool name!! Yipppeee and big Congrats to Claudia!! Now, my page is complete!! Keep in mind I DID NOT use anything other than the supplies in the kit, other than the stamps and the copics to color the stamped images. That's right everything you see was from the kit!! What a value!! And here is everything I had left over...Yep...I have left overs. Trust you HAVE to get these kits they are AWESOME!! And for only $9.99...You can't beat it!! 12 midnight est along with the other stamps from Claudia and Co. in the May Release!! I love the newest Puddle Jumpers...I think they are my favorite and I cannot wait for you all to see them!! 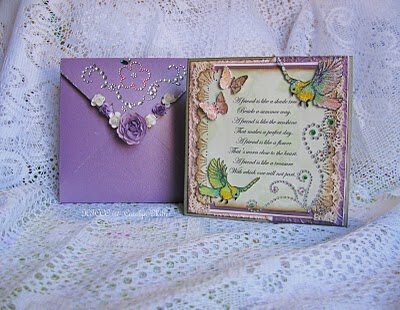 We are also introducing a new stamp artist, Maree Truelove!! She is super talented and her images are super fun to play with!! 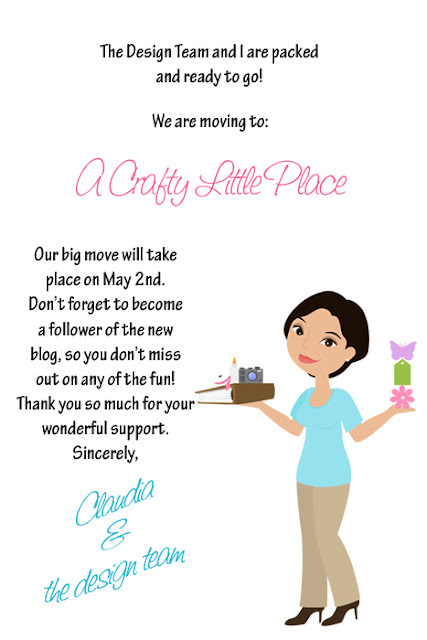 Claudia and Company May Release Blog Hop!! Also, don't forget to join us at A Crafty Little Place for all the FUN coming soon!! Now hop on over to the DCRU Shop and get your own April Mini Card Kit!! I hope you enjoyed my Post!! It's no secret that I LOVE my Cricut Expression and all the goodies that go with it! 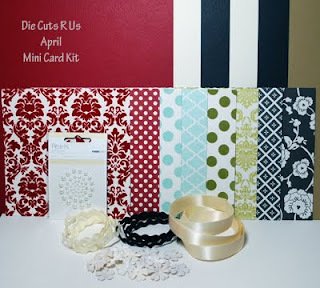 Did you know that Claudia carries several items for your Cricut! 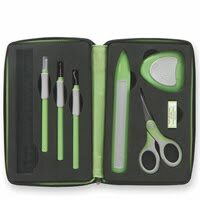 I know we all tell you about the card making goodies and embellies, but there are lots of GREAT Cricut products available at DCRU at 45% off regular price. NO JOKE! Another fav in the DCRU, the TOOL KIT! So very handy to have for all those little cuts! And the scraper makes cleaning of the scraps from the mat a breeze! Another fav in the Cricut Department is the vinyl! DCRU Offers it in 5 different colors! I did a tutorial here back last year about using your Cricut and Vinyl to apply on a candleand another Cricut and vinyl post here! 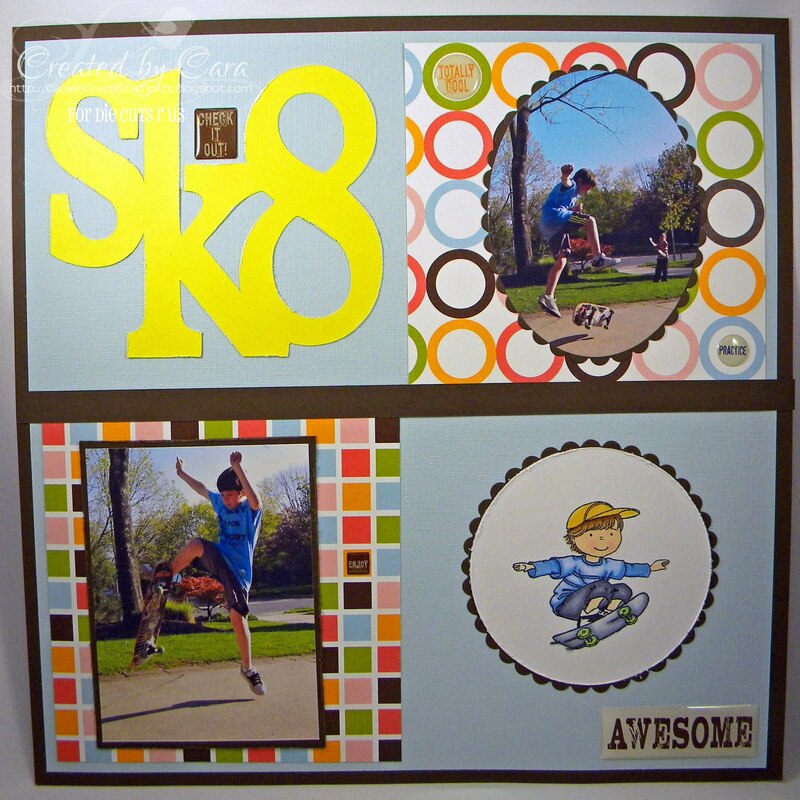 Here are some super fun things I have made with the vinyl and my Cricut! There are so many possibilities!!!! 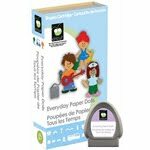 And, if you do not own the Everyday Paper Dolls Cartridge, you should!!! SO many cool cuts, ecspecially if you have kiddos! 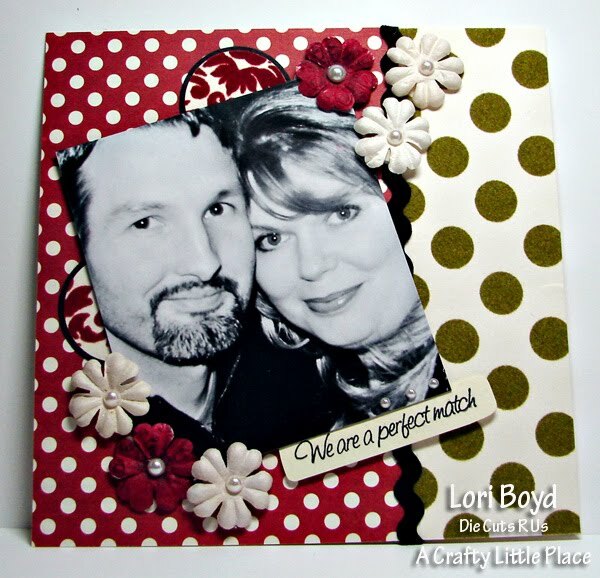 Sharon, a Cricut Pro :) made this fab card using it!!!! How cool! 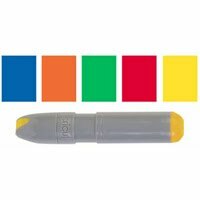 So, all you Cricut buffs out there--- what is your favorite Cricut cartridge, accessory, etc? Please share!!! We would love to hear from you!!! Click HERE to visit our new home. Okay as if it wasn't fun enough to do a DCRU Challenge we've made it even better...a challenge that lets you create TWO projects! 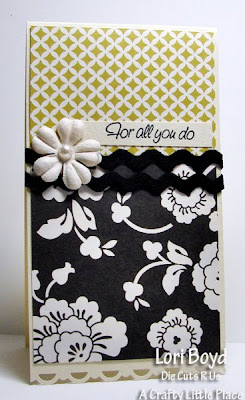 You choose what you do, cards, lay outs, gift card with matching tags...whatever floats your boat. This will be our last challenge here at the DCRU DT Blog. Lets go out with a bang!!! We really want you to play along with us so get busy, have some fun and link up right here with Mr. Linky by Sunday, May 2nd at 9:00 PM. 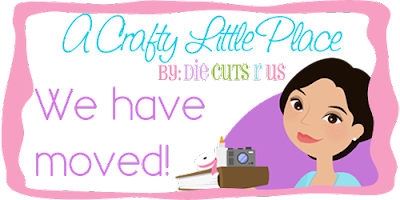 Don't forget that Challenge 37 will be at our new blog site A Crafty Little Place beginning May 4th. Thank You ALL for your submissions, for your support and participation week after week! We look forward to seeing what you bring us each challenge! Be sure and grab your winner buttons for your blogs!